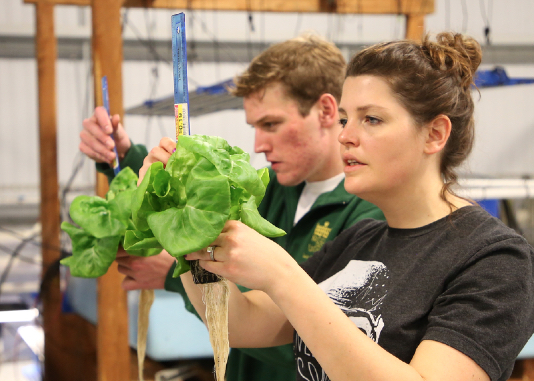 FoodChain is partnering with Kentucky State University to host an intermediate aquaponics workshop at FoodChain. This will be an all day workshop filled with lectures on various aspects of aquaponics. After the lecture period participants will get an in person look at some small-scale aquaponics systems and filtration types. These will be used to teach proper design and construction of aquaponics filtration. Following the demo period, participants will take an in depth tour of the FoodChain aquaponics farm. After the tour participants have the option to network with aquaponics professionals at West Sixth Brewery (located in the same Building). Participants will take away a flash drive filled with relevant aquaponics information to refer back to. 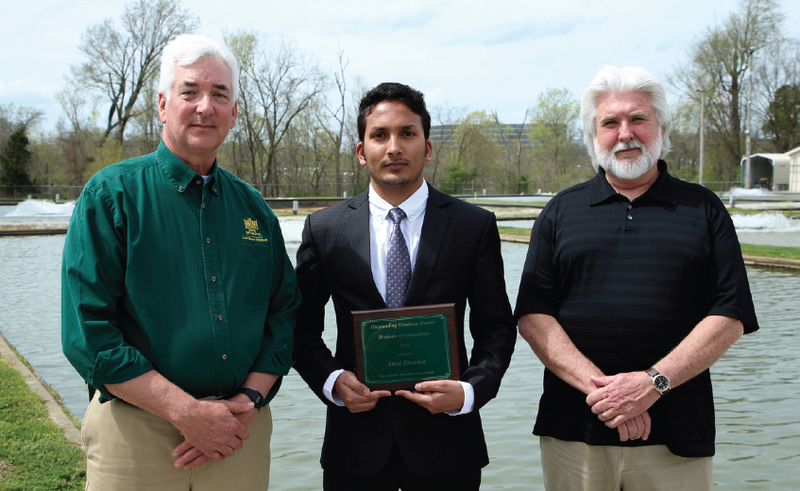 Amit Sharma received the Division of Aquaculture's Outstanding Graduate Student Award at the Academic Honors Convocation April 11, 2019. Sharma's major professor is Dr. Ken Semmens. Amit's academic excellence and leadership skills reflect greatly upon himself, the Division of Aquaculture and Kentucky State University. Nathan Kring won Second Place for his Graduate Student Oral Presentation. His presentation was titled "THE EFFECTS OF STOCKING DENSITY AND ARTIFICIAL SUBSTRATE ON PACIFIC WHITE SHRIMP Litopenaeus vannamei PRODUCTION AND WATER QUALITY DYNAMICS IN GREENHOUSE-BASED BIOFLOC SYSTEMS." This is Nathan's thesis research project. Nathan's major professor is Dr. Andrew Ray. 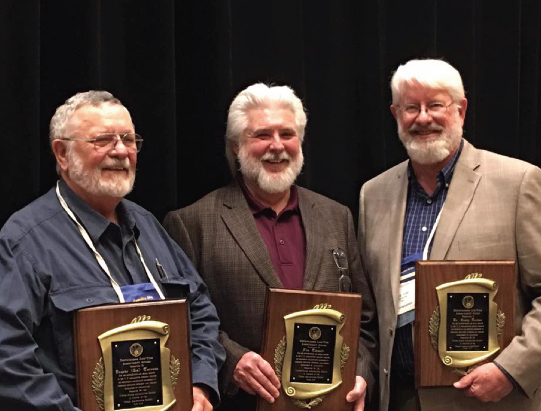 The World Aquaculture Society highly values student members and presenters and this award is an acknowledgement of the quality and relevance of his work. Kasondra Miller won first place with her oral presentation at the 2019 Association of Research Directors, Inc meeting held March 31st - April 3rd 2019 in Jacksonville Florida. She was in the Animal Health and Production and Animal Products section for Graduate Student Competitive Oral Presentations. Her major professor is Dr. Rossi. 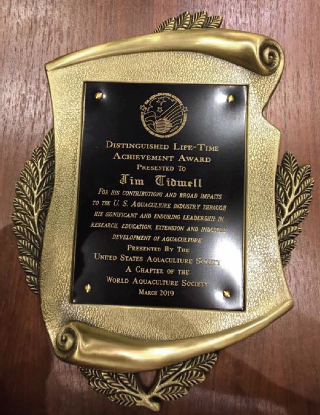 Dr. James Tidwell received a Lifetime Achievement Award at the Aquaculture 2019 Triennial meeting held in New Orleans, Louisiana. The Triennial meeting is the largest aquaculture conference and trade show in the world with nearly 4,000 attendees from more than 90 countries. Dr. Tidwell started his career at Kentucky State University on August 1, 1987. He was instrumental in starting the Aquaculture Graduate Program in 1999 and making the program one of the top-five aquaculture programs in the United States. 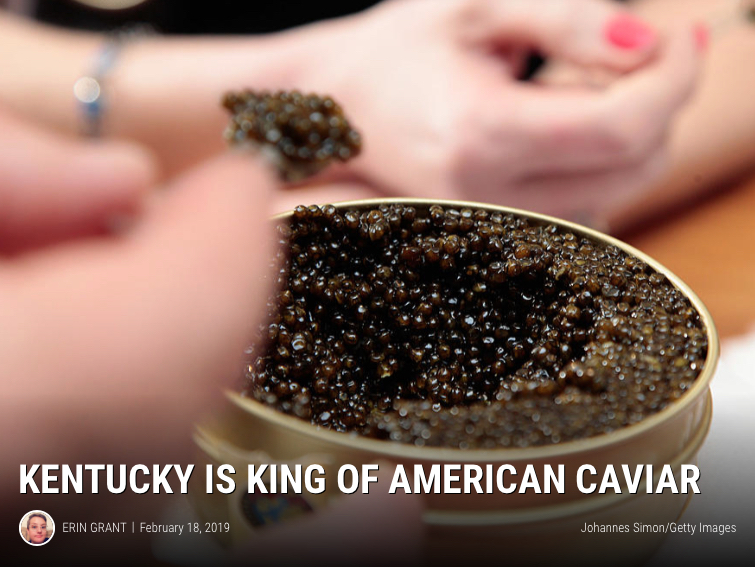 His leadership and knowledge have helped the growth of aquaculture in Kentucky, the United States and beyond. Congratulations Dr. James Tidwell! 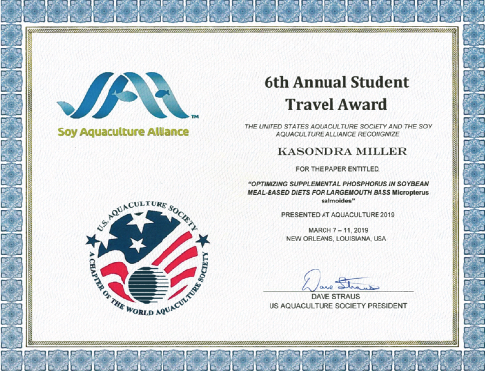 Kasondra Miller was selected for a Soy Aquaculture Alliance/ USAS Student Travel Award. She was selected from the pool of United States Aquaculture Society student members who submitted applications for this joint award that was presented at Aquaculture 2019 in New Orleans, LA. 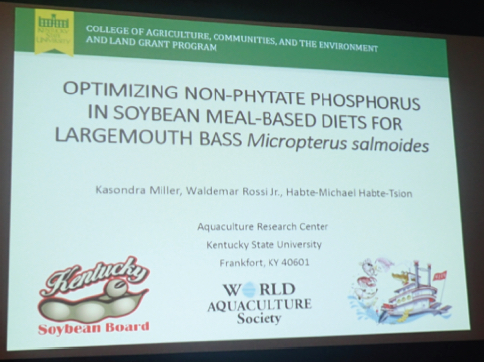 Kasondra presented her thesis research at the World Aquaculture Society meeting in New Orleans. Her essay and letter of support demonstrated her professional dedication to the future of aquaculture. Kasondra's major professor is Dr. Waldemar Rossi. Congratulation Kasondra! 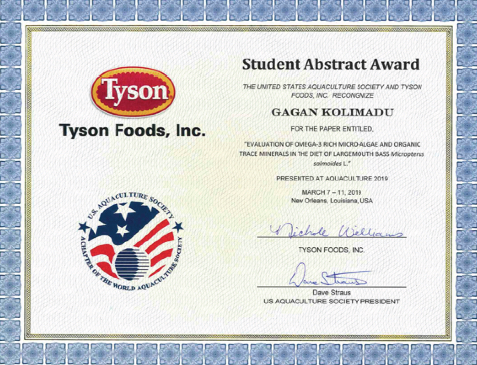 Gagan Kolimadu was selected for the Tyson's Best Abstract Award for Aquaculture 2019. 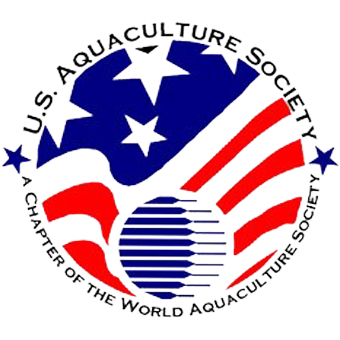 He was selected from the pool of WAS/ USAS student members who submitted abstracts for presentation at Aquaculture 2019 in New Orleans, Louisiana. 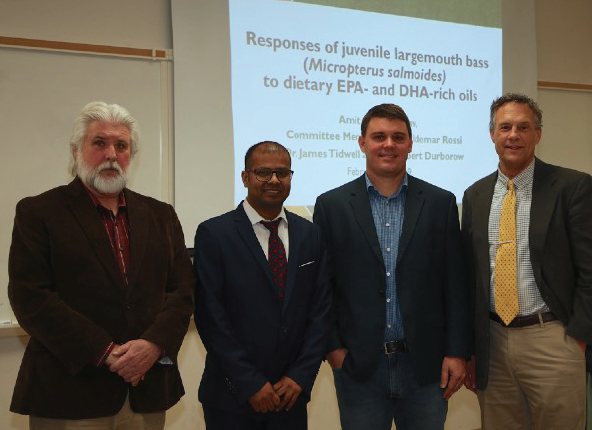 His abstract titled "EVALUATION OF OMEGA-3 RICH MICROALGAE AND ORGANIC TRACE MINERALS IN THE DIET OF LARGEMOUTH BASS, Micropterus salmoides L." was well written, properly formatted, and demonstrated high scientific merit. 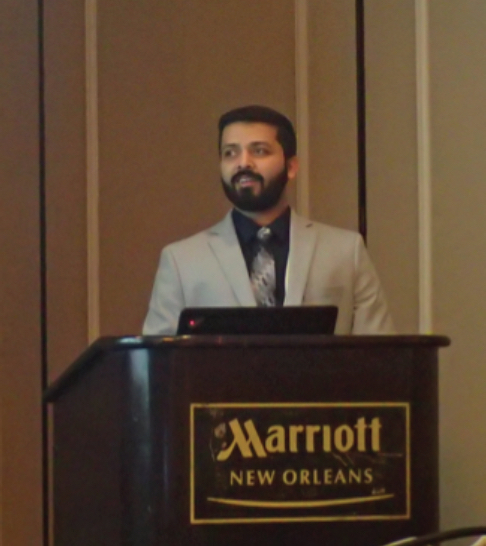 Gagan presented his research at the World Aquaculture Society meeting in New Orleans. Gagan's major professor is Dr. Waldemar Rossi. "Small-Scale, Year-Round Shrimp Farming In Temperate Climates," was published by Dr. Andrew Ray and Mr. Robert Rode in this month's issue of Aquaculture Magazine. The Washington State University's School of Food Science Center for Advanced Food Technology is conducting a series of online seafood science courses available to the public. Amit Kumar Yadav is the latest KSU Aquaculture Graduate Student to successfully defend his thesis. Great job Amit! His major professor is Dr. Rossi, while Dr. Tidwell and Dr. Durborow are also on his committee. 47 students in the program. On a projection screen in front of a packed room in a coastal Maine town, computer-animated salmon swim energetically through a massive oval tank. A narrator’s voice soothingly points out water currents that promote fish exercise and ideal meat texture, along with vertical mesh screens that “optimize fish densities and tank volume.” The screens also make dead fish easy to remove, the narrator cheerily adds. 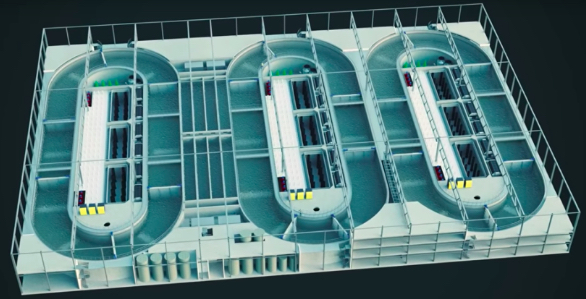 The video is part of a pitch made earlier this year for an ambitious $500-million salmon farm that Norway-based firm, Nordic Aquafarms, plans to build in Belfast, Maine, complete with what Nordic says will be among the world’s largest aquaculture tanks. It is one of a handful of projects in the works by companies hoping these highly mechanized systems will change the face fish farming—by moving it indoors. Today was the first official harvest (1 of 2) of Josh Dusci's Thesis research. The research involves evaluating the impacts of freshwater prawn (Macrobrachium rosenbergii) within hydroponic troughs of an aquaponics system. Specifically, evaluating the effects of the freshwater prawn on Bibb lettuce plant growth, water quality, and solids accumulation within the troughs. Preliminary research conducted in 2018 led to the conclusion that root protection is required to prevent prawn from foraging on plant roots which significantly decreases plant growth. Louvers (grid design ¾") were used to collectively protect the roots. The next data collection period will occur from 03/02/19 thru 03/26/19 which will conclude Josh Dusci's Thesis data collection on this project. U.S. per capita seafood consumption increased by 1.1 pounds to 16 pounds in 2017, reaching the 16-pound mark for the first time in almost 10 years, the National Marine Fisheries Service announced recently in its “2018 Fisheries of the United States” report. The 1.1-pound increase in consumption is due partly to the growth of responsible aquaculture, which has allowed for global seafood production to continue to grow. According to the United Nation’s Food and Agriculture Organization, aquaculture now represents more than half (53 percent) of global human seafood consumption, with global seafood production reaching a peak of 171 million metric tons in 2016. “With capture fishery production relatively static since the late 1980s, aquaculture has been responsible for the continuing impressive growth in the supply of fish for human consumption,” said the UN in its recently released “2016 State of World Fisheries and Aquaculture” report. 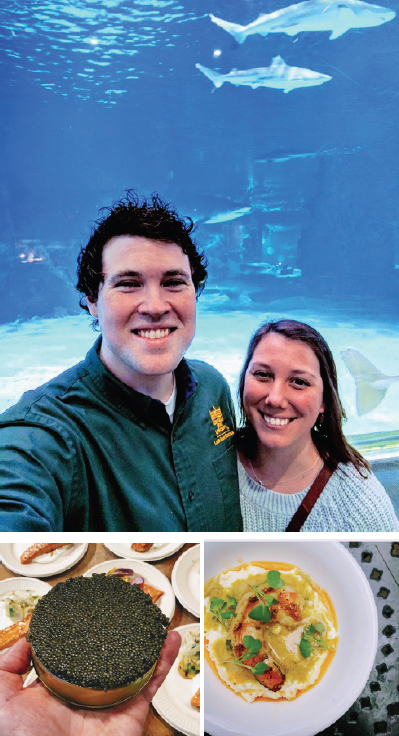 On February 10, 2019, the Newport Aquarium partnered with the Monterey Bay Seafood Watch Program and the WAVE Foundation to host the 3rd annual "Off the Hook" sustainable seafood dinner. The event highlighted the importance of sustainability, conservation, and aquaculture as a means of providing high-quality seafood here in the United States. The event hosted over 20 local and national chefs who cooked up some savory seafood dishes while educating guests with how we should choose seafood that's fished or farmed in ways that support a healthy ocean. 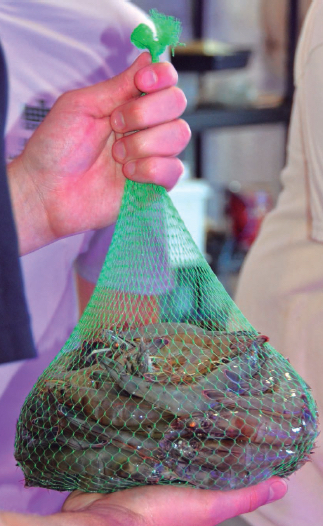 KSU's division of aquaculture donated 25 lbs. of marine shrimp along with a variety of leafy greens for the event, and Tom Tierney attended the dinner to answer questions about KSU's program and Kentucky aquaculture. All proceeds from the dinner will benefit the Edible Ohio Valley Foundation, the Ohio River Valley Chefs Collaborative Local Group, Chefs Collaborative, La Soupe, and the WAVE Foundation. 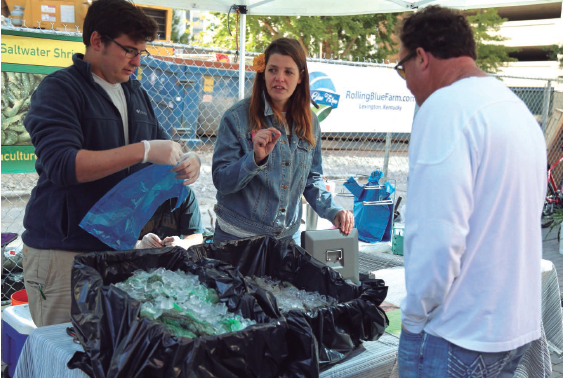 A good time was had by all, and KSU's aquaculture program hopes it can contribute again at future events. 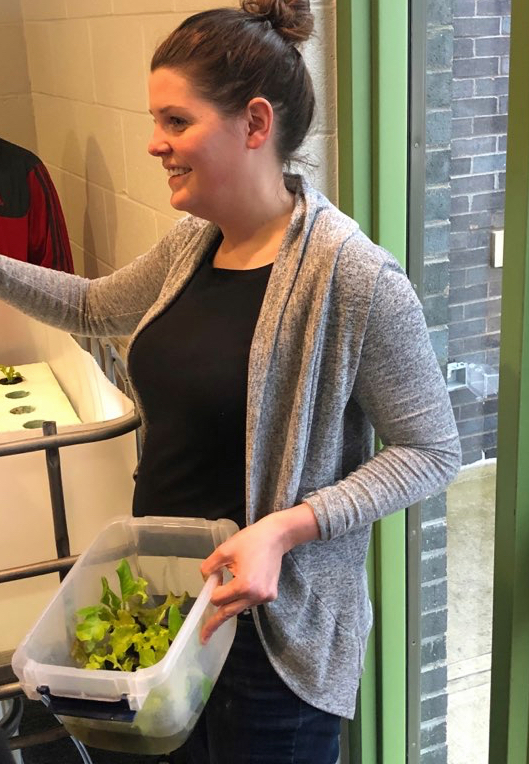 Kentucky State University staff participated in an aquaponics field day at Uspiritus School in Louisville, KY. Upsiritus is a residence for children middle school to high school age that are in foster care. 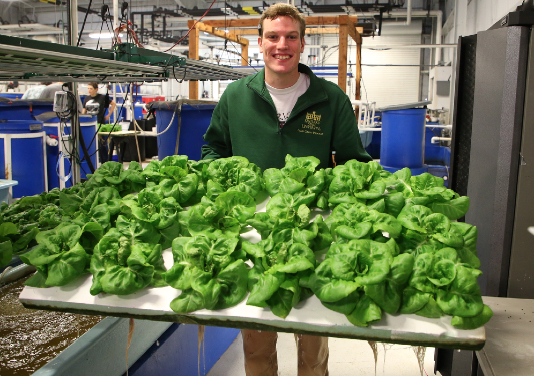 Stephen Lewis, a KSU Horticulture Extension Agent in Jefferson County, spearheaded the aquaponics field day as a way to introduce innovative agriculture practices through handson education in their on-site greenhouse. Stephen installed a home aquaponics system at the school that he built through participating in the "Build Your Own Aquaponics System" Workshop hosted by KSU in July 2018. Students learned the principles of aquaponics, got to put together a demonstration system (complete with fish and plants), practiced doing water quality, and learned about different aquaculture species raised in KY. Teachers and students hope that aquaponics can be a valuable tool to accomplish their mission of providing therapeutic foster care to Louisville youth. Janelle Hager, Ken Thompson, and Garrett Hamilton from KSU's Aquaculture Research Center assisted with field day activities. 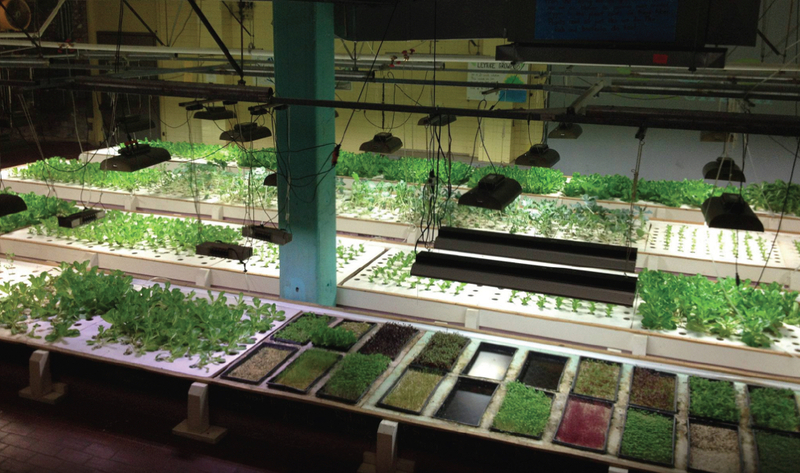 Inside a repurposed Twin Cities brewery, a massive aquaponics operation is ready to provide a locavore's dream: fresh produce and fish, raised indoors every month of the year. For many people, the environmental impact of overfishing is a major concern. Is it possible to eat more fish and seafood sustainably? 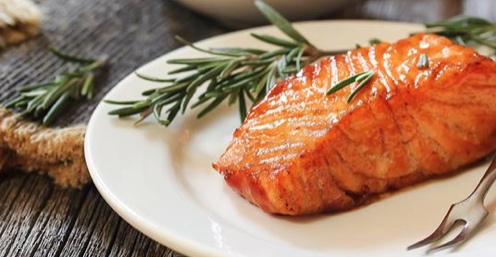 Aquaculture has made salmon one of the world’s most popular seafood products contributing to the fish’s status as a “winning protein” around the world, says a new report from Rabobank. 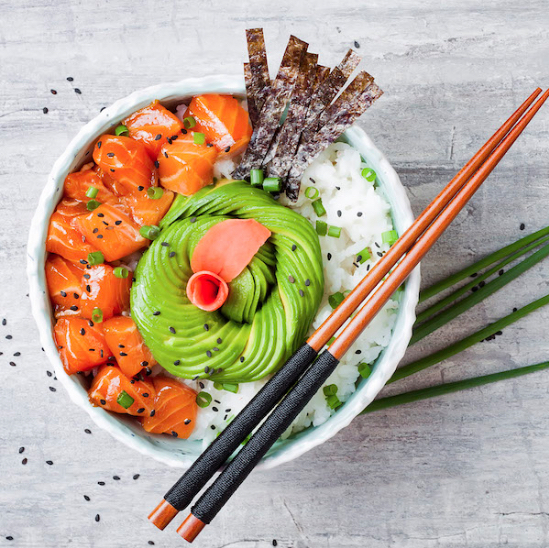 But the industry needs to reposition farmed salmon from being a “luxury” food item to being the leading healthy, sustainable and affordable protein for sustained growth, said the report entitled “Keeping Salmon on the Top of the Menu”. 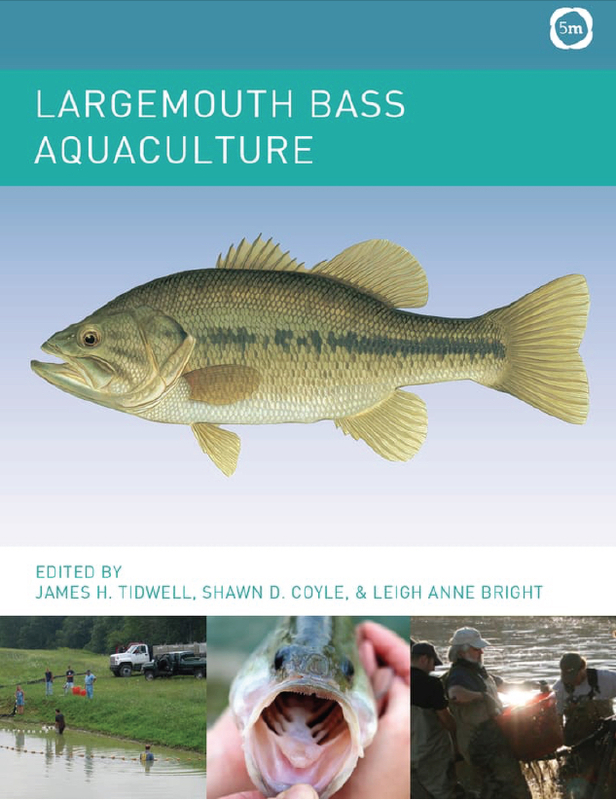 Largemouth Bass Aquaculture Book Will Be Available Soon! Dr. James Tidwell, Shawn Coyle and Leigh Anne Bright teamed up on "Largemouth Bass Aquaculture" that will be publish in the near future. The fishsite.com features a new book on Largemouth bass on their website. The Ray Lab published a new paper in the Journal Aquaculture, with Leo Fleckenstein as the lead author. 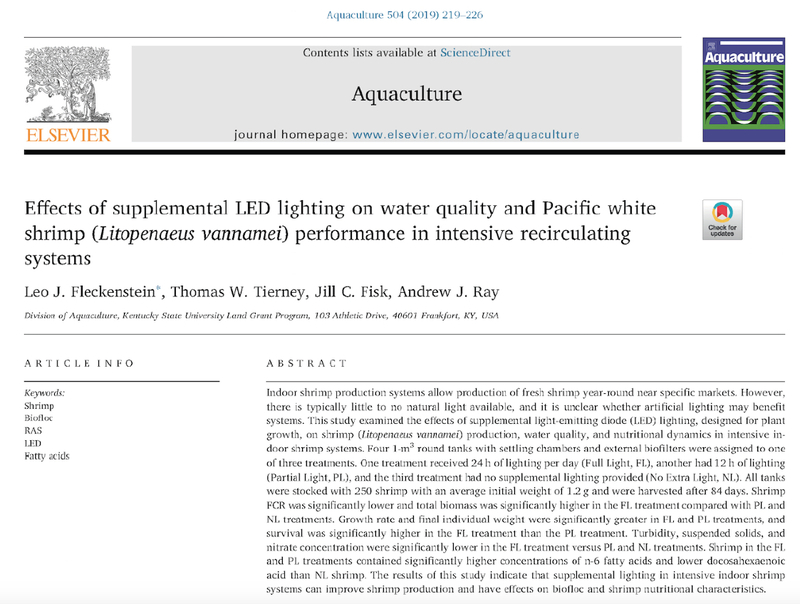 The paper describes a study that examined the effects of LED lights on recirculating shrimp aquaculture systems. The team found that shrimp grew significantly faster when systems were exposed to 24 hours of light per day. The world’s first commercial flight using a sustainable biofuel originating from a fish farm has been confirmed by the Sustainable Bioenergy Research Consortium (SBRC). 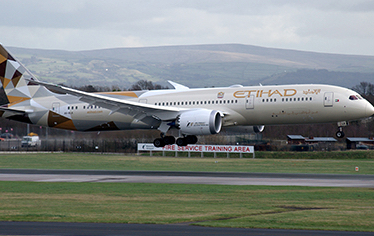 A non-profit entity established by Masdar Institute (part of Khalifa University of Science and Technology), SBRC said the Etihad Airways Boeing 787 flight from Abu Dhabi to Amsterdam marked a major milestone in the development of a clean, alternative aviation fuel to reduce carbon emissions. It also highlighted that the initiative addresses food security in the United Arab Emirates, with seafood farming providing a core element of the process. The SBRC partners have been working together to prove the concept of a comprehensive value chain that is centered around the Seawater Energy and Agriculture System (SEAS). This is an industrial platform that supports the aviation sector, the oil and gas industry, food production, and the creation of a new agricultural alternative in the United Arab Emirates. 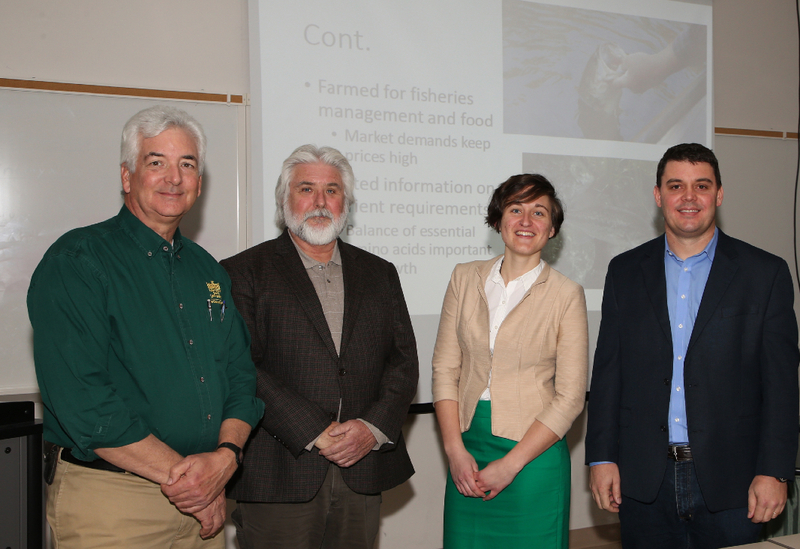 Ms. Brittany Woodward is Kentucky State University's Aquaculture Research Center's latest graduate student to successfully defend her Masters' Thesis. Brittany's thesis is titled "DETERMINING THE DIETARY LYSINE REQUIREMENT OF JUVENILE LARGEMOUTH BASS, Micropterus salmoides." Her Thesis Committee consists of Major Professor Dr. Waldemar Rossi, Dr. James Tidwell, and Dr. Kenneth Semmens. Mr. Richard Hulefeld has done it! He defended his thesis and now has his Masters in Aquaculture and Aquatic Sciences. 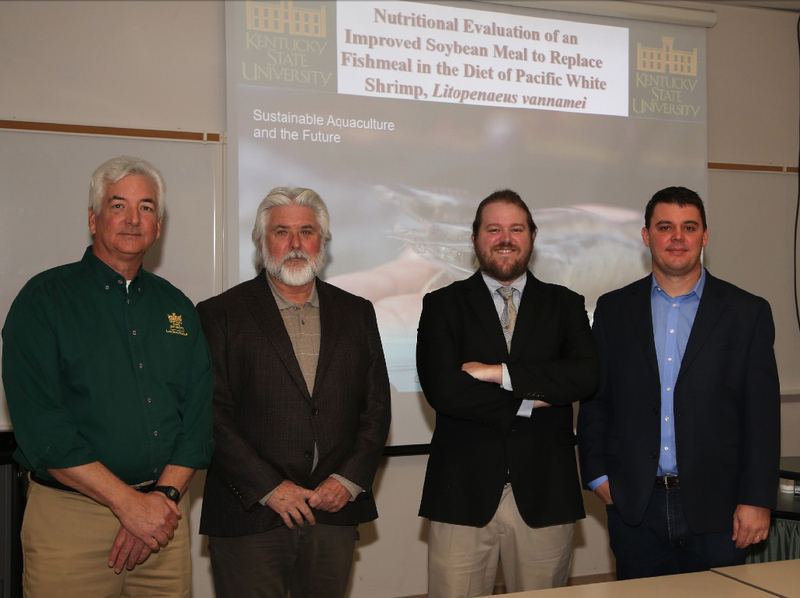 The title of Rick's thesis is "Nutritional Evaluation of an Improved Soybean Meal to Replace Fishmeal in the Diet of Pacific White Shrimp, Litopenaeus vannamei." Rick's Thesis Committee consists of Major Professor Dr. Waldemar Rossi, Dr. James Tidwell, and Dr. Kenneth Semmens. Mr. Thomas (Cary) Mason successfully defended his Thesis on December 6, 2018. The title of Cary's thesis is "Evaluation of Salt Treatments for Holding Largemouth Bass and Hybrid Striped Bass as Live Fish." Cary's thesis committee consisted of major professor Dr. Kenneth Semmens, Dr. Waldemar Rossi Jr., Dr. Boris Gomelsky, and Dr. Bob Durborow. Click the link below to view the interview! Below are video and pdf. 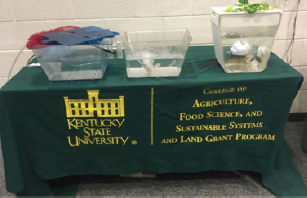 presentations from the September Indoor Shrimp Farming Workshop held at Kentucky State University. These presentations are available for download. Audio versions of the presentations are linked to our YouTube channel. The links for each presentation are listed below their title and the link listed below goes to the main Kentucky State Universtity Aquaculture YouTube channel. All Indoor Shrimp Farming Workshop Audio presentation can be found by selecting the playlist. "Biosecurity & Health in US Indoor Shrimp Farming" - Arun K. Dhar, Ph.D.
Click Here For Audio Presentation: Arun K. Dhar, Ph.D.
"Perspectives on Intensive, Marine Shrimp Production Using Minimal-Exchange Indoor Systems" - Douglas H. Ernst, Ph.D.
Click Here For Audio Presentation: Douglas H. Ernst, Ph.D.
"System Engineering and Facilities Design" - Ron Malone, Ph.D.
Click Here For Audio Presentation: Ron Malone, Ph.D.
"Indoor Shrimp Production: Economics & Marketing" - Kwamena Quagrainie, Ph.D.
Click Here For Audio Presentation: Kwamena Quagrainie, Ph.D.
"Introduction to Indoor Shrimp Farming and KSU Aquaculture" - Andrew Ray, Ph.D.
Click Here For Audio Presentation: Andrew Ray, Ph.D. This paper examined two methods of stunning in three model crustaceans. Stunning is used to reduce sensory perception prior to euthanizing animals. This is especially important in places such as Europe where some markets require that animals are electrocuted prior to slaughter to prevent pain in the animal. 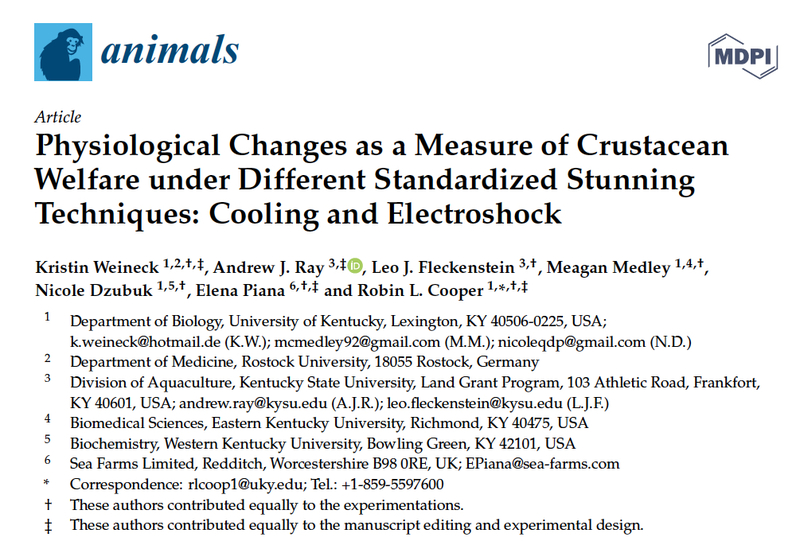 However, this paper found that electrocution only paralyzed the three species (blue crab, red swamp crayfish, and Pacific white shrimp); the heart rate was decreased temporarily, then increased but was irregular. Immersion in an ice slurry below 4 degrees C resulted in sedation within seconds for shrimp and crayfish, but not crabs. The ice slurry stopped the shrimp heart the quickest, indicating that an ice slurry may be the most humane method of stunning these animals. Tom Tierney and Leo Fleckenstein published a two part series in the Journal of Aquacultual Engineering. Both papers looked at the effect of various RAS filtration systems on water quality and animal production metrics. Tom's paper examined those effects on shrimp and included a survey of stable isotope dynamics among the animals, while Leo's paper examined the impacts of the filtration techniques on juvenile tilapia. 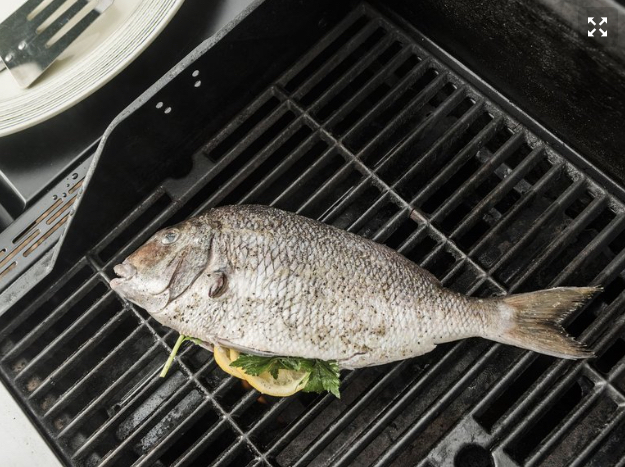 Both papers explore ways that farmers can produce fresh seafood year-round without much water use, thereby helping to facilitate sustainable food production. 'The State of World Fisheries and Aquaculture 2018' is the title of a report released by the UN Food and Agriculture Organization (FAO) which found that "... global fish production will continue to expand over the next decade even though the amount of fish being captured in the wild has leveled off and aquaculture's previously explosive growth is now slowing ... [The] report projects that by 2030 combined production from capture fisheries and aquaculture will grow to 201 million tonnes ... That's an 18 percent increase over the current production level of 171 million tonnes ... In 2016, production from aquaculture reached 80 million tonnes, ... providing 53 percent of all fish consumed by humans as food ... Some 59.9 percent of the major commercial fish species that FAO monitors are now being fished at biologically sustainable levels, while 33.1 percent are being fished at biologically unsustainable levels ... The other 7 percent are underfished ..."
The title of the July 9, 2018 FAO News Article is "Is the planet approaching "peak fish"? Not so fast, study says; Significant production increases foreseen over coming decade - Sector faces major challenges"
The National Aquaculture Association (NAA) has developed a variety of fact-based, high-quality, full-color and reader-friendly brochures. These publications communicate to consumers, buyers, chefs or health care professionals the quality, value and wholesomeness of U.S. farm-raised fish and shellfish as well as the federal and state regulations that govern production, handling and processing. Locally Farmed Seafood: Safe & Sustainable encourages consumers to buy locally farmed fish and shellfish for their safe, wholesome and nutritious benefits, environmental sustainability, and the positive impact on local economies. U.S. Farm-Raised Seafood and Food Safety describes non-voluntary and voluntary federal and state food inspection and safety programs and the incredible nutritional values of farm-raised fish and shellfish. 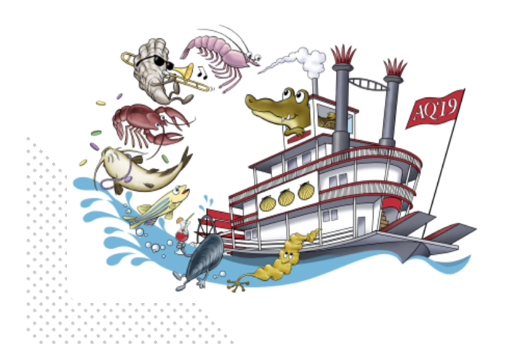 U.S. Farm-Raised Fish and Shellfish Q&A answers commonly asked water quality, sustainability, drug and chemical use, diet and food safety questions with science and regulatory facts. U.S. Farm-Raised Fish and Shellfish for a Healthier & Happier Life provides in-depth nutritional information for children, teens and adults as well as the health benefits of consuming fish and shellfish during pregnancy. The facts concerning Omega-3 fatty acids, mercury and PCBs are also presented. United States Aquaculture: Fact & Fiction corrects erroneous perceptions concerning fishmeal, food safety, drug and chemical use, Omega-3 fatty acids, mercury, environmental effects, sustainability, PCBs, and eco-labels. Farm-Raised in the USA is a poster 34 fish and shellfish farmed in the United States. Each species is depicted in full-color and identified by market, scientific and common name. Each of these attractive, educational publications can be previewed at: http://thenaa.net/publications. Call or email the NAA office at 850-216-2400 or naa@thenaa.net to order copies for public or promotional events, buyer meetings, or mail-outs. Aquaponics - How to do it yourself! To access these webinars, visit http://thenaa.net via your desktop computer or mobile device and select "Webinars" from the menu. The NAA website is packed with information. Please explore NAA's webpages to find downloadable publications, Frequently Asked Questions (FAQs), Kids Corner, recipes, video interviews describing aquaculture sustainability and the value and benefits of seafood to human health, and a wealth of additional information. If there is a topic that is missing, please contact the NAA office at 850-216-2400 or naa@thenaa.net. In the United States over 90% of the seafood consumed is imported. Aquaculture is now the world's leading provider of seafood and the fastest growing segment of world agriculture. 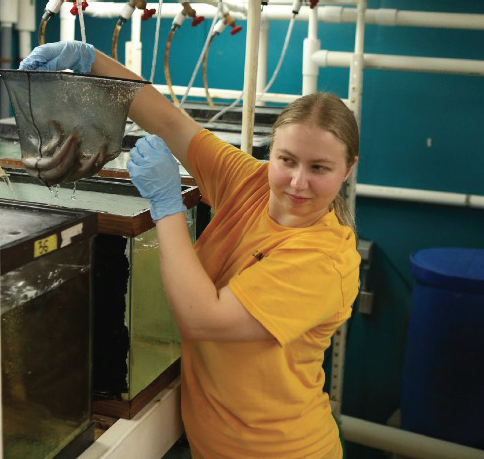 The Division of Aquaculture is KSU's Program of Distinction and is highly regarded in both research and academics. KSU offers more online aquaculture courses than any university in the U.S. A Certificate Degree in Aquaculture/Aquatic Sciences can be earned by completing 12 hrs of Aquaculture (AQU) courses, with a grade of "C" or better, within five years of beginning the initial course work. Courses can be online, classroom, or any combination. To enroll, students must first be admitted to the University on either a degree seeking or non-degree seeking basis. Work completed for the Certificate Degree may later be applied toward the Bachelor of Agriculture, Food, and Environment (AFE) degree. The Certificate Degree in Aquaculture/Aquatic Sciences will require a minimum of 12 credit hours of course work chosen by the student from the Division of Aquaculture offerings (AQU prefix). These can either be classroom or online classes. Only classes in which students receive a "C" or better will count toward the Certificate Degree. These classes can also count toward the Aquaculture Systems option for the B.S. 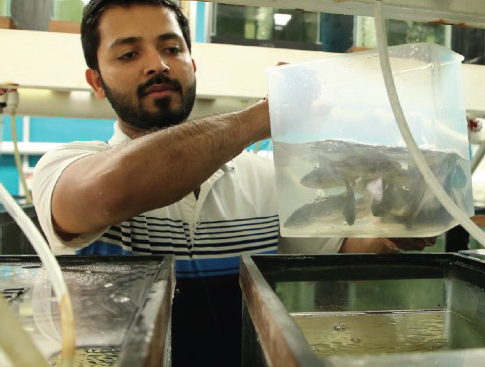 in Aquaculture, Food, and Environment (AFE) and/or the Aquaculture Minor should the student pursue a high degree. This video discusses aquaponics at Foodchain, a local business located in Lexington, KY. This video was shot at the Kentucky State University High Tunnel Complex. High tunnels are relatively simple greenhouse structures commonly used to extend the growing season of crops. In this video Dr. Andrew Ray describes some large fish tanks that have been constructed with wooden frames and rubber liners. 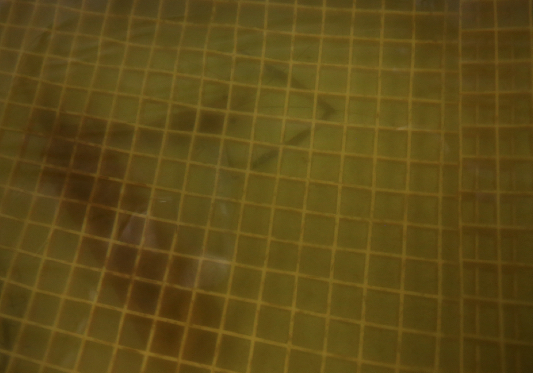 The fish tanks are being used to grow tilapia, with the goal of getting market-sized fish in one growing season in Kentucky. Time-lapse and underwater video footage help to illustrate Dr. Ray's points. 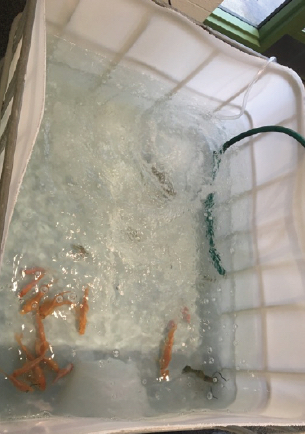 Dr. Boris Gomelsky and KSU Aquaculture graduate students spawned koi in the hatchery this Spring. Video was recorded, edited and posted onto YouTube. This video demonstrates the process of koi artificial breeding and includes stripping of eggs and sperm from koi broodstock, and artificial fertilization of eggs. In order to remove adhesiveness, after fertilization eggs are placed in McDonald incubation jars where they are vigorously moved in water/milk suspension by air bubbles for 50-60 minutes. Then air flow is substituted with water flow for further incubation of eggs. Dr. Boris Gomelsky, KSU Aquaculture Professor, describes two mutations in koi and demonstrates mutant fish from experimental progenies. This video was shot during a harvest of the indoor marine shrimp production system at Kentucky State University's Aquaculture Research Center. Dr. Andrew Ray describes some of the benefits and concepts behind biofloc-based aquaculture. The video serves as an introduction to this relatively new and exciting topic which can be used to grow marine shrimp in practically any building, allowing fresh, whole, jumbo shrimp to be grown near and sold to a variety of inland markets. 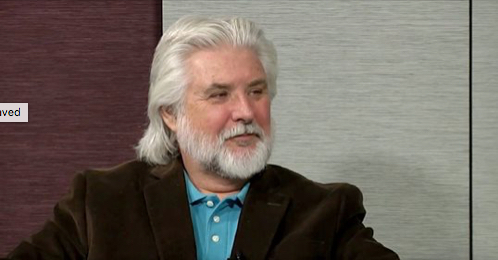 Dr. Jim Tidwell, Chair of Kentucky State University's Division of Aquaculture and past-president of both the US Aquaculture Society and the World Aquaculture Society, discusses how to deal with dwindling fish supplies and overfishing. 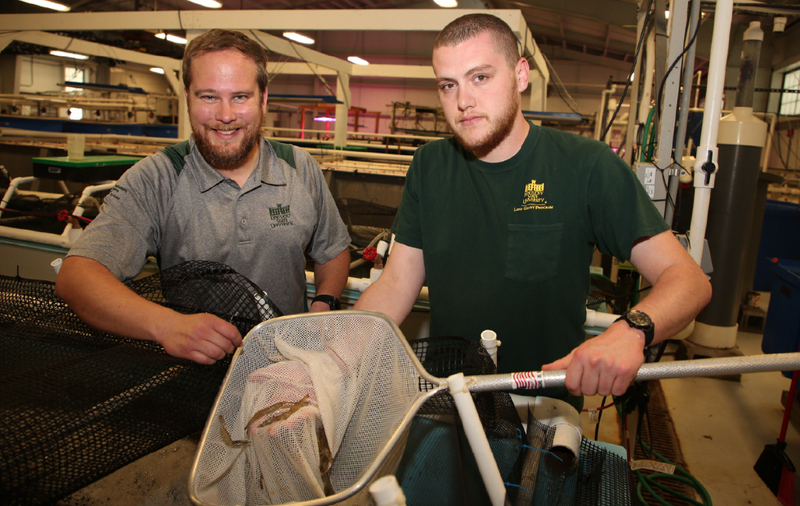 To learn more about aquaculture & agriculture sustainability and the research alliance between Alltech and Kentucky State University, click on the link below. Water chemistry as it relates to aquaculture and recreational pond management.